Based on the results of the conflict matrix approach, together with research strands from other aspects of TIDE, it has been possible to derive a typology of key conflict areas for most estuaries, and based on these, derive guidance principles for integrated management as well as a series of measures to assist in both in determining conflict areas, but also in addressing some of the causal impact factors. It is in such a role that it is considered that the conflict matrix approach is of value, particularly when used in conjunction with the measures tools developed under TIDE and with the Ecosystem Services approach, this combined approach allowing the Ecosystem Services to provide a common currency to assist in the determination of the relative values of management options, and appropriate management measure delivery (Figure 28). 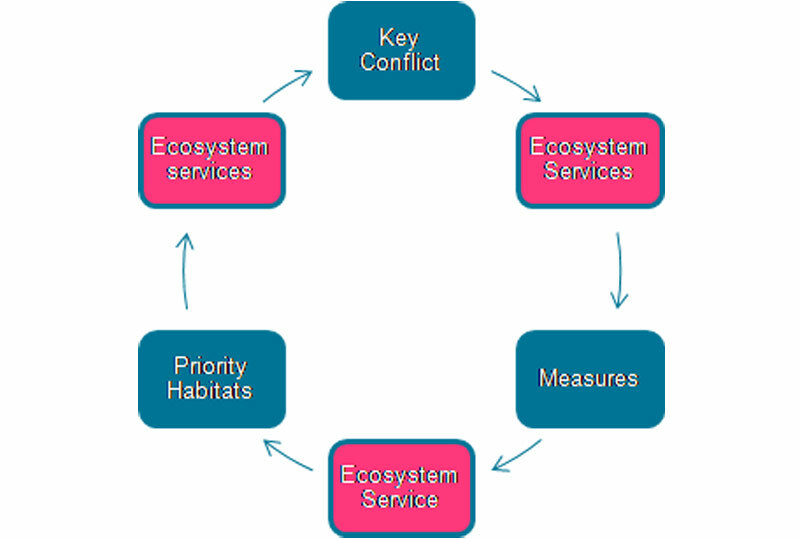 Figure 28: Conceptual framework showing the linkages between conflict areas, mitigatory measures and priority habitats using the Ecosystem Services approach as a common currency. It is concluded that whilst north-west European estuaries present many generic management challenges, initiatives need to be site-specific in order to accommodate both the natural and human systems. Furthermore, the Ecosystem Services and Conflict Matrix approaches employed in TIDE have the potential to be combined to assist in effective management. However, importantly it is necessary to understand that measures employed to provide a management solution for specific problem can also generate their own management issues. This is particularly the case for measures used to address flood protection, land claim offset and Natura 2000 requirements.